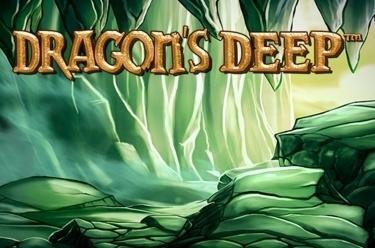 Play Dragon´s Deep™ online for free now! Equip yourself for battle and climb into the Dragon’s cave - as that’s where the legendary dragon’s treasure awaits you, which is closely guarded by the fire-breathing mythical creature. In Dragon´s Deep™ you and other warriors embark together on a search for the mysterious creatures to win the chests full of gold and jewels. If you are able to tame the dragon, the riches it guards are yours! The aim with Dragon´s Deep™ is to land 5 symbols along the 25 win lines. All lines run from left to right across the 5 reels in various patterns. In order to win, the winning symbols cannot be interrupted by other symbols between them. The Dragon symbol replaces all symbols as the Wild symbol, except for the Scatter symbol. The Scatter symbol (Dragon’s Egg) can appear in any position on the reels and trigger the free games when you land at least 3 of them. Defeat the dragon and get fabulous gold treasures as a reward! For this you need to land 3, 4, or 5 Scatter symbols (Dragon's Egg) to trigger 5, 10 or 25 free games. Both the stake and the number of win lines are taken over into the free games. 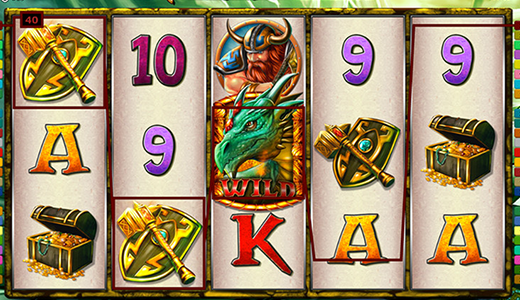 During the free spins, the Dragon symbol (wild symbol) replaces all Warrior symbols and therefore completes your winning combinations. You can win additional free rounds in the free game feature.